The tech company today released the Salesforce Health Cloud for the medical profession, and last month introduced its Financial Services Cloud. (Bloomberg) — Salesforce.com Inc. is breaking its one- size-fits-all cloud into pieces by introducing new products targeted at different industries. That’s a strategy spearheaded by Keith Block, the company’s vice chairman and president, to develop products customized for the peculiarities of different businesses, highlighted by Wednesday’s release of the Salesforce Health Cloud for the medical profession, and last month’s introduction of its Financial Services Cloud, targeted at financial professionals. “We want to make sure that we have the right industry messaging, the right content around our customer success platform specific to a particular industry,” Block said on a call with analysts in August. The company continues to sell its general purpose software. The Health Cloud gives companies in the medical industry a product tailored to their field, said Josh Newman, Salesforce’s chief medical officer. The service helps link data from electronic medical records, wearables, patient interactions, and more. Salesforce has helped customers tweak its software for the medical world for several years, he said, and has drawn many of the commonly requested features into the new Health Cloud product, reducing the customization needed for the software. 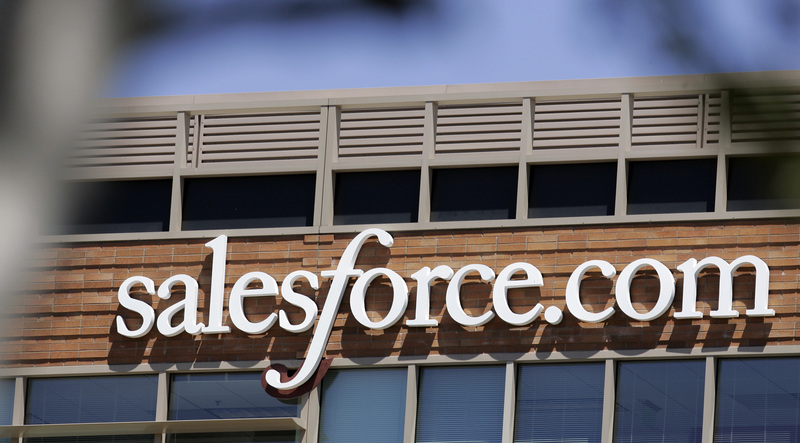 The company already has a large number of health-care customers who have modified its software for their own needs, including the University of California at San Francisco, which has about 30,000 people who use Salesforce, Newman said. UCSF specializes in medicine and science and includes a major research hospital and affiliated clinics. Most of the work done by Salesforce for the product relates to behind-the-scenes technology to integrate the software with legacy health-care systems, and secure access to data, he said. The name also may help convince potential customers that Salesforce has developed a product with them in mind, Newman said. The health and the financial products are among the first to sit on top of Lightning, a new re-designed user interface that was introduced last month and is being rolled out for free to all Salesforcecustomers, Newman said. The technology changes the design of Salesforce’s software to make it easier for people to tweak the way they interact with the San Francisco-based company’s products.